The UK’s waterways are about far more than boating and fishing. According to the Canal & River Trust, some 2 million people access the country’s waterways in order to simply walk or ramble alongside them[i]. In fact, use of the UK’s waterways is so popular that Bellway Homes has included river access in its latest Essex development in Halstead, Portway Place. The development backs on to the River Colne, with two, three and four-bedroom houses offering a wide range of accommodation types. 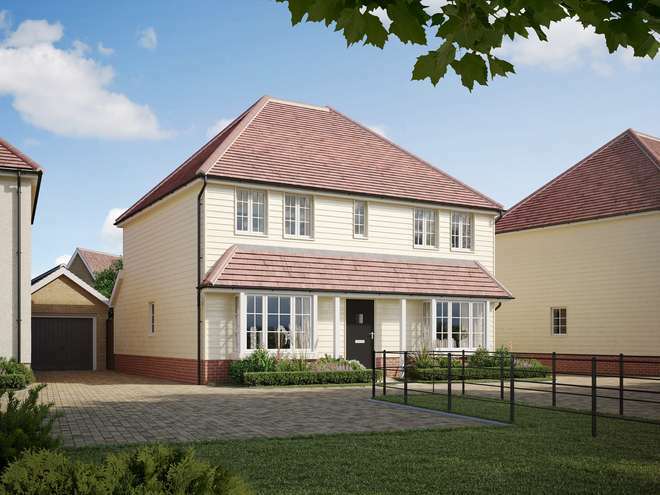 Residents will be able to access the river and walk from their homes to the pretty market town of Halstead, home to ‘Essex’s Best Baker’ as well as several notable schools. On those days when the British weather isn’t suited to riverside pursuits, the beautifully designed interiors at Portway Place provide spacious, luxurious surroundings that promote a calm, relaxing home life. The countryside location means that residents have access to a range of outdoor pursuits in addition to the River Colne. Horse riding, hiking, fishing, water skiing and open-water swimming are all available within 10 minutes of Portway Place, at Broaks Wood and Gosfield Lake Resort, while the area is also home to several parks and formal green spaces. From a retail perspective, Halstead has plenty to offer. Aside from its award-winning bakery, the bustling town has a range of independent cafés and artisan eateries, along with established high street brands and a monthly food and craft market. For family entertainment, the Empire community theatre stages a variety of shows, from drama and comedy to music. Sports and fitness are covered by the leisure centre, which includes a gym, a pool and facilities for a range of racquet sports. Portway Place is also well positioned to enjoy access to the wider world. Braintree station is a 15-minute drive away, proving access to Stratford and London Liverpool Street. Meanwhile, Stansted Airport is just 30 minutes away. For car users, the A131 and A 120 are both easily accessible, with the latter providing an easy connection to the M11. Prices at Portway Place start from £249,995 for a two-bedroom house and from £454,995 for a four bedroom home. For further information please contact the sales office on 01787 476941 or visit: www.bellway.co.uk.